I love making projects with A Day in May papers. I particularly enjoy pairing pink with the vintage greens and browns. 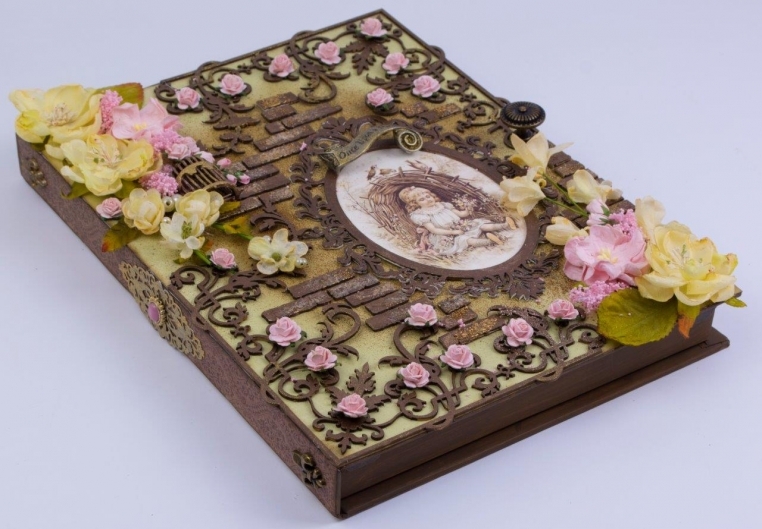 This shadowbox book was made using this lovely collection. 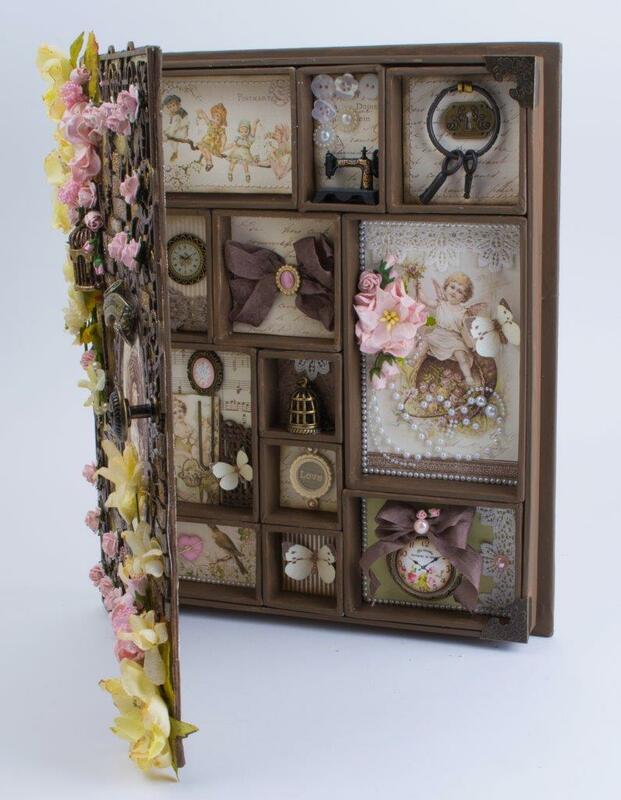 Wow, this is amazing, what a lovely shadowbox book, I just love it! All the nice details, the flowers, the beautifull paper and such a cute (metal?) once upon a time embellishment! Vraiment superbe, bravo pour cette magnifique réalisation!! !